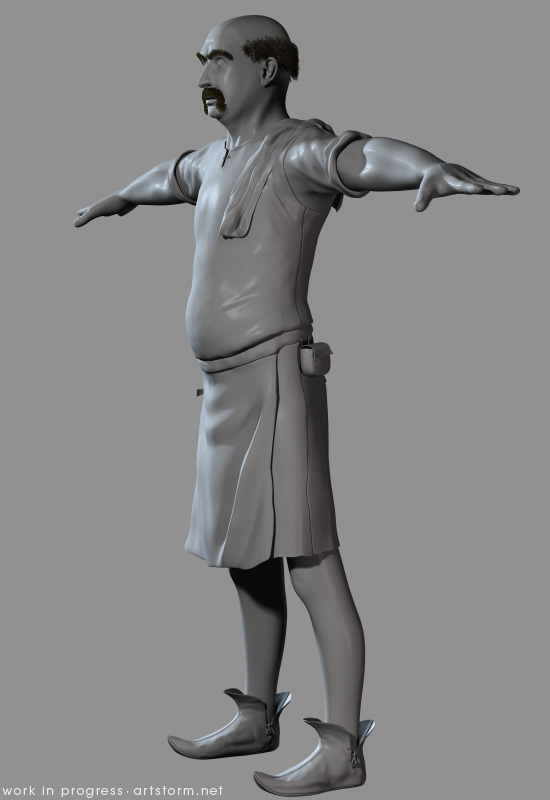 Here is a few updated images of the progress of my Innkeeper character. I didn’t have time to work with him until today again. But now he is starting to come together after this session. I’ve got rid of the strange pointy belly and added some more volume to it as well as some fat around the waist where the apron runs. 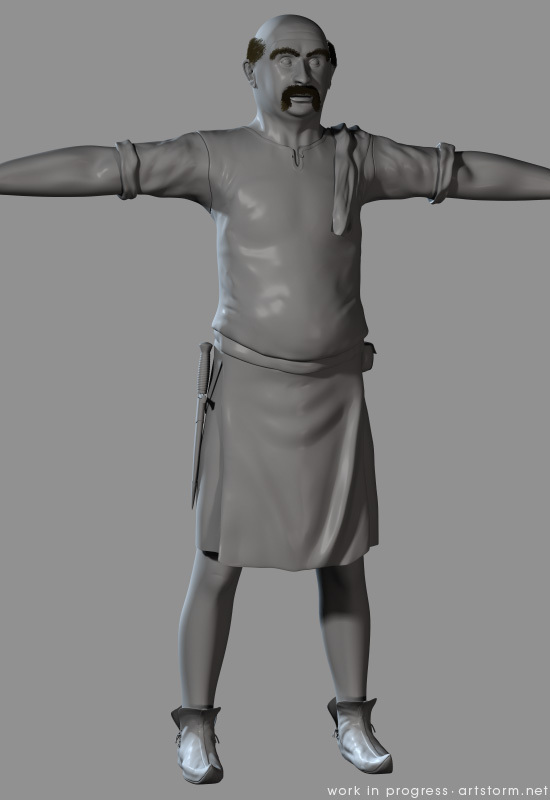 Also I modeled a dagger for him and added some more details to the face, arms, hands and robe. The symmetry from the first modeling session is now about to run into the history land and I have started to get some more randomness to the different sides. I fixed some edgeloops as well this time which I was not that pleased with earlier, and it’s still pretty low poly for the amount of details. 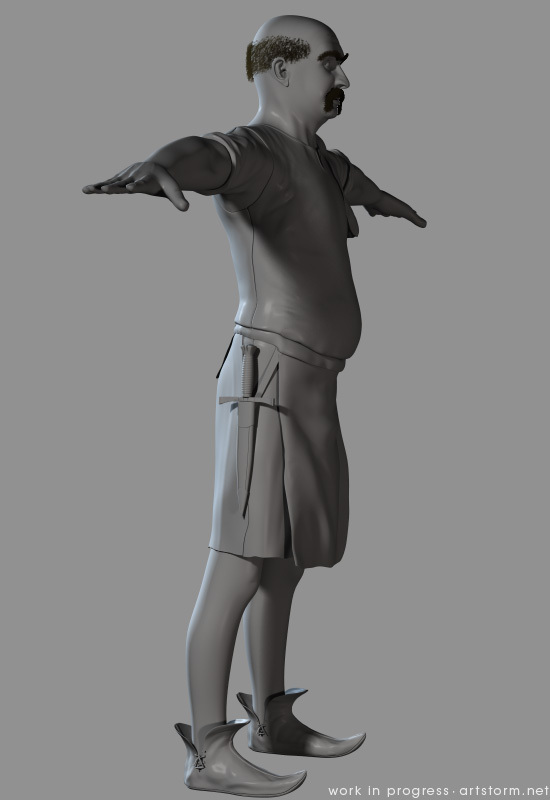 I have been thinking of using ZBrush displacements for him, but I’ll pass on that this time, and stick with normal maps in the end for the finer details. I am not completely happy with him yet, so I’ll take him for one more modeling session for the final touches before I get into texturing this guy. Really looking forward to that part, as that’s my main purpose with this project.